It’s a big weekend for science fiction fans, those in the mood for romance and anybody who used to watch Saturday morning cartoons. The question is, will any of these new releases manage to top the box office? Cowboys and Aliens is another comic book adaptation, but one that doesn’t have much mainstream visibility. What the movie does have is a big name director in Jon Favreau and recognizable stars in Daniel Craig, Olivia Wilde and Harrison Ford. Though it does appear to be loaded with talent, I’m not sold that audiences are going to flock to the film. Apart from his fourth go around in the horrible Indiana Jones film from a few years back, Harrison Ford’s box office shine has been dim over the last decade. Meanwhile, though Craig has been stellar in his role as James Bond, I don’t think he’s opened too many films outside that franchise. And finally, Favreau hasn’t directed anything other than the Iron Man films in the last three years, so whether or not he’s a director audiences will flock to is currently undecided. 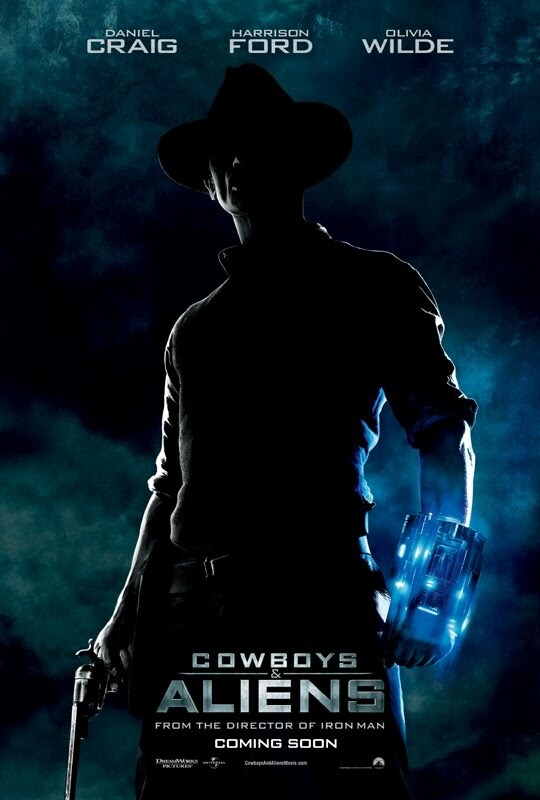 With Transformers, wizards and superheroes ruling the summer box office so far, I’m wagering that Cowboys and Aliens will underperform this weekend and bring in $39 million to land on top. Crazy, Stupid, Love is another film loaded with stars, including Steve Carrell, Julianne Moore, Emma Stone and Ryan Gosling. Even with the presence of Gosling and Stone, the trailers have been painting this one as a bit more of an adult romantic comedy, unlike the deluge of R-rated ones that have admittedly done big box office this summer. Consider Crazy, Stupid Love counter-programming to the blockbusters currently in theaters and look for it to do $16 million for a fifth place finish. 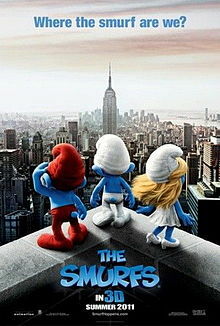 The third new release this weekend is the absolutely dreadful looking CG/live action film, The Smurfs. Look, we all grew up on the little blue fellas (and gal), but I can’t imagine why anyone would think it would be a good idea to bring the Smurfs into the modern day world. It just sounds awful, and the trailers haven’t helped one bit. That being said, it’s been a few weeks since we’ve had a new kids film in theatres, which will definitely work in the movie’s favour. Plus, kids are more more forgiving than us jaded geeks. How much money, Papa Smurf? Figure on $23 million for a fourth place finish. As for the rest of the top five, Captain America: The First Avenger has been performing solidly during the week, which shows there is some demand for the film, probably do to solid word of mouth. Look for it to drop a little more than 50% from it’s $65 million opening to land at number two with $32 million. As for the little wizard that could, Harry Potter and the Deathly Hallows Part 2 continues to bring in dough. It will cross the $300 million mark in North America this weekend. I’m predicting a third place finish and a box office take of $25 million. Be sure to check back on Sunday to see how our predictions turn out!